Bhakti Yoga is a Hindu spiritual practice. It means love or devotion to the Divine. It is a process of cultivating unconditional love in the body. Modern interpretation may refer to the Divine or God as the Beloved, the Self, Source or Spirit. There are various ways to cultivate love in the body and we shall explore these below. Bhakti Yoga is one of the three main paths of salvation as mentioned in the Hindu Holy book the Bhagavad Gita. Jnana Yoga or Path of Knowledge (jnana). The word Bhakti comes from the Sanskrit “bhaj” which means worship and “yoga” meaning union. Bhakti Yoga is union through devotion and most importantly, love. Bhakti Yoga, a devotional practice of self-love and outward way of giving love, can be practiced and interpreted in a variety of ways. Although this element of yoga is not as well known as asana practice, it has grown in popularity over the last few years. As with all of yoga, to gain the most benefit, practice must be rigorous and consistent, however, many practitioners report feelings of well being from small tweaks and additions of bhakti to their daily routines. You can express your love and devotion in a variety of ways including singing, mantra, chanting, burning candles, saying prayers or making requests to the universe and thus connecting with source energy. It is important to remember that bhakti is an intensely individual experience, so should not be limited to prescribed practices. One of the most common expressions of Bhakti is through Kirtan. Kirtan is a form of devotional singing or chanting. Traditionally the various Sanskrit names for God are repeated over and over with a guru leading the chants. It is said that through this chanting, one can connect with generations of worshippers throughout time and space. Through kirtan, as through meditation, we can let go of all the rules imposed by society, we can relax and we can expand our minds and see beyond our human form, ultimately reaching a higher state of pure consciousness. Modern devotion certainly does not need to centre on God. In fact some gurus suggest thinking of those in need or even someone who needs your forgiveness. It is also possible to focus on yourself too and fall in love with yourself. The possibilities are endless. There is no right or wrong, just love. 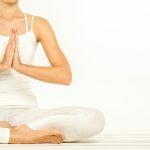 Bhakti Yoga, although very different to the yoga you may see in gyms and studios, still holds the same significance as a route to a happier and more aware life. It promotes love and peace, both with oneself and the outside world.